A Test: Is Long-Term Travel Right For You? Do you enjoy being challenged? Would you maintain your sanity if you had to constantly face unexpected situations, surprises, plans that always changed for one reason or another? Could you handle a lack of routine and perhaps not knowing where you’ll be in a week or two from any given moment? Are you okay with sleeping in different beds all the time, some comfortable, others barely more than a thin piece of foam set upon a hard piece of wood? What if you had to eat different foods, some familiar, others quite different to anything you’ve ever eaten before…does that sound appealing? Would you welcome a situation where everyone around you thought differently than you do, had different beliefs and customs, practiced different traditions, thought and behaved in ways you’d never seen or even knew existed? Are you okay with being out of your comfort zone, far, far, far out of your comfort zone? Are you excited about an opportunity to constantly meet new people from all around the world, people from all sorts of backgrounds, people with whom you will share amazing adventures and with whom you will create wonderful friendships? But can you accept the fact that you will often have to say goodbye to all of those new people shortly after you meet them, maybe because you have plans to travel somewhere else or they have plans to go their own way? Perhaps you’ll keep in touch and meet again someday, perhaps you won’t, is that okay? Do you want to receive an education like no other, an education that only the world itself, experienced first-hand, can teach? Are you open to an education that just may alter the way you view the world? Can you maintain an open mind at all times while always welcoming, and striving to grow from, the experiences and interactions that come your way, no matter what they may be? Do you think you will be able to use your travels to benefit others? Do you have a goal for your travels? Is there something specific you want to gain from seeing the world and meeting its people? Can you find rewards in the tiniest of things? Can a handshake or an exchange of smiles bring you great happiness? Can you use such small actions to create a cross-cultural bond between yourself and other people? Do you feel that interaction between two people of different cultures, any interaction at all, can be powerful and extremely beneficial? Are you able to cope with never being truly satisfied as your list of places you badly want to visit grows and grows and grows the more you travel? Can you come to terms with the fact that it’s impossible to see it all? Are you fine living without a closet or a set of drawers? Does living out of a backpack or a suitcase sound good to you? Do you understand that travel does not involve a never-ending stream of fun times, that there will be obstacles, tough situations and moments when you might feel confused, frustrated or even a bit lost? But at the same time, do you understand that despite all of those, there must be a reason why it’s so hard to find a traveler who regrets having traveled? Are you ready to find out that reason? Do you think you have the determination necessary to achieve your goals? Are you willing to put in the effort required? Can you picture yourself right now at some of the destinations around the world that you have always dreamed of visiting? Can you see yourself actually living the experiences you so often think about? Are you ready to take the first step and start traveling? Any travelers want to add any questions to the list? Is anyone else trying to figure out if long-term travel is right for you? Sunset ever becomes a terror when you realize ” next bus in ten minutes ” means nothing more than ” You get off bus Now “. Great questions, Earl, and great point about long-term travel not being a never-ending stream of fun times. The hardest part for me has been meeting great people – but people who are on vacation! I’m working while traveling, while they’re enjoying a holiday. It can be tempting to join them for drinks every night or blow off work when they’re going sightseeing. But if I did that every day, I couldn’t afford to keep traveling. Besides balance, I agree with you that the desire to travel is the most important thing. You have to NEED to do it to make it work long-term. That passion will sustain you when the flight is cancelled (again), the guest house is overbooked, the food makes you sick or your wallet is stolen. I like that this post asks you the nitty-gritty questions. It’s important not to romanticise travel if it’s something you want to do seriously. You have to be real, or reality is going to smack you in the face when you disembark and it won’t be pretty! Thanks for the reply Earl. Sometimes trips just plan themselves when you are looking for tickets. The ticket prices that I found and my desire to visit interesting, inexpensive countries made my destinations a no-brainer for this trip. Unfortunately, I only have 3 days in Romania. We plan on going to Timisoara. I really wanted to see Cluj-Napoca, but that will have to wait. I am curious to hear your opinion of Timisoara. Hey Dave – I’ve only spent a couple of days in Timisoara but it’s quite pleasant. Not a whole lot to do and it’s pretty relaxed and quiet but it’s a good enough place to walk around for a couple of days. Yes yes and yes! Love this post. Great questions – a good reminder that there is a lot to consider before embarking on long-term travel! When I said ~$1000USD to spend, I wasn’t including airfare/lodging or passports, etc. I meant the $1000 was for food/trinkets/bus-taxi fare/etc. – spending money once we arrived. Also… I am in love with your blog, and oh-so-envious of your traveling! Earl… I ran across your blog today when googling ‘international travel from the USA for under $1000’, and came across your post about countries you can travel in for less than $1000/month. Now, I know you were actually referring to long term travel, but my fiancee and I are looking to go on a trip, and if we go international, it will be the first international travel for us both. What destinations would you recommend for first time international travelers on a budget, but that also have varied ‘attractions’? (Meaning, I am happy with beautiful scenery and interesting locals, but he is looking for a little more ‘fun’ in his trip a la something more interesting than picture taking) We would have about a week (including travel time) and about $1000 USD to spend. To travel the world has always been my ‘pipe dream’, and to have a chance, but be totally clueless about where one could/should go is extremely frustrating. I know it’s hard for you to make a suggestion, because you don’t know us, but no one we know really travels, either… so I’ve had to resort to asking for recommendations from strangers, lol. So, for one week, I would recommend doing a circuit around the Yucatan Peninsula of Mexico or doing a nice trip around a few places in Guatemala so that you don’t have to spend much time flying or dealing with jet lag and can enjoy most of your week in the destination itself. Brilliant blog post Earl! There are a lot of good that come with travelling the world without a known schedule but it isn´t for everyone to experience. Keep motivating everyone to experience the true gems in life! Traveling is so fascinating! I’ve only been to a few different countries, so far in my life, but I’m scheduled to visit 11 more by this time next year! My time in Europe (Belgium, Denmark, Sweden, Spain) has opened my mind so much that I always want to be somewhere else, experiencing something else, doing something else! A life of travel seems so adventurous and full of opportunities! Sometimes I feel like now is the perfect time to just pack my bag and leave for some place that I’ve never been to before. There’s just one problem. I’m 16. I want to travel so much, but I don’t know how to get started. You’ve said in your other posts that a college education isn’t necessary and I agree, but I have a question. If you were 16 years old knowing what you know now after more than 5,000 days of travel, what would you have done differently? Would you have gone to college? What would you have studied if you knew you wanted to endlessly travel? How would you have saved up money? What would you have told people who tell you that it’s impossible in today’s world? How would you have kept yourself motivated and determined to achieve your goal of such uncertainty? The Earth is so captivating and I have every fiber of my being itching to just go, but now it feels like a waiting game between my motivation and my conscience. I want to make the most out of my time preparing, but what should I do? I know I have to make all of the decisions for myself, but I need some advice. I’m aware of all the costs like shelter, food, clothing, tickets, etc. I also know there are less conventional, but cheaper ways to go places, but all the other things just hovering over me have me worried. Insurances? Taxes? House payments if I decide to buy one? You say it’s as simple as packing up and going. Make an attempt and return if you have to so you can get back out there, but is it realistic to think that I could leave everything behind just to find new things? I’m ready to leave it all here. I just don’t know what to do. If you could leave some advice or tips for me I would appreciate it! Hey Nick – Everything you asked matches my situation exactly. I did go to college and I studied management…I always say that you should study something that you love, not something that you just think will be useful. If you study something that you love, you’ll have a better chance of turning that passion into some kind of work that will help you continue traveling. And to be honest, I wouldn’t have done anything differently…I just figured it out as I went along, which is what most long-term travelers do since there is no one way to make this lifestyle a reality. There are millions of ways and each person finds the most suitable path. Taxes, house payments and all that stuff. Don’t worry about that now, worry about those when the time comes because your situation at that point will most likely be much different. Just worry about what you want now, which seems to be finding a way to just get out there on the road. Once you take that step, you’ll figure out everything else as you need to. All the things that travel has taught me has made me an immeasurably better person. Those that can’t see past their fears that are keeping them at home just need to have a little faith in themselves … that alone makes you change more than anything else! Hey Ina – I’ll be back in Berlin at some point I’m sure! Earl, my friend, you hit the nail on the head! I WILL be “constantly evaluating my goals”. Isn’t that what all travelers do? Or, should do? As I’ve done both types of travel over the years, one is not “Better” than the other. Apples and Oranges. Isn’t diversity in life wonderful? Too much to accomplish, too little time. The take: START EARLY! To all you 20-somethings out there, the earth is huge, it’s cultures are diverse, and life is short, relatively speaking. The earlier you figure this out, the more you will enrich your life. BTW, love your blog. Awesome info. I keep stopping back but this is my first comment. Just wanted to tell you I love what you’re doing! I’m not sure I have ever come to terms with that. A traveler runs the risk of feeling unsatisfied because the world of possibilities has been opened up to them. Hey Joel – And that’s definitely a tough thing to try and deal with at times…luckily, thinking of all the rewarding experiences that we do have should be enough to feel a decent amount of satisfaction! What a great list! I am doing it now too and have to say, even before I left, I would have answered yes to all the questions. Not planning on stopping. I have very recently discovered your website and this is my first post. Thanks Earl for your stories and writing. Through your writing, I can see you are a positive, humble person and you have a kind heart. For these reasons, I like your blog more than other travel blogs that I have read. You really share a piece of yourself in your writing and open yourself up to strangers. I find it amazing that the overwhelming majority of responses are so positive. How do you stay humble? Other blogs (not necessarily travel blogs) are full of ignorant, angry people. Do you publish all of your readers’ comments? What percentage of your readers’ posts do you block? Back to the current thread: I answer yes to most of these questions. But, like many people, I have some extra baggage that makes long term travel unrealistic. I have a wife and two kids. Having a family is a blessing, but there are trade offs and sacrifices one must make. I have had the opportunity to travel to 32 countries in my single years, but traveling has been more difficult with a family. Like many Americans, we recently lost our home to a foreclosure and are now renting, but in a way it has been a good thing. I invested so much time and money into that house and that is gone, but we are now paying less for housing and I have been able to save a bit for traveling. In the hope of infecting my wife with the travel bug, I took her on a trip last summer to Mexico, the Dominican Republic and we unexpectedly ended up visiting Haiti. (We left the kids with family.) She loved it, but she is not infected yet. She thinks we should be responsibly saving for another home instead of traveling. After some arguing, I bought tickets to Europe and we will be doing 3 weeks in Poland, Slovakia, Hungary, Romania and Serbia. I am spending a little extra for decent hostels/hotels so that she has a good experience. I hope to do a lot more traveling in the future, even if it just one amazing trip per year. It will make things easier, if she loves to travel too. Let’s keep our fingers crossed that she loves the trip. I would love to visit India soon. Hey Dave – Thanks so much for the comment and I’m honestly happy to hear you’re enjoying the site! As for comments, I post any comment, positive or negative, as long as it doesn’t contain cursing or discriminatory language. So, in the end, I publish about 99.9999999% of comments that come through. And your trip to Europe sounds like an excellent one to me. From my own experience in those countries, I think that might just do the trick and get your wife even more interested in travel. If you need any suggestions for Romania, where I’ve been based out of for a while, just let me know! When is a person too old for adventure , has anyone met people in their late 50..s? I am young at heart and fit …just do not want to feel awkward concerning age. Less common, but yes. You might be surprised how open-minded and friendly a lot of young travelers can be, but it depends a lot on where you are traveling also. If you are off the beaten path, you will likely find travelers who are not just looking for the next party. I’ve met some extremely mature 20 year olds in remote parts of the world. As a 20-something years ago, I fondly remember a retired American couple that was hosteling in Europe. I was so impressed that they were in their 60’s and living out of a backpack like me. They were thoroughly enjoying themselves, even though the average age in the hostel was probably 22. You would meet people like that to balance out any naysayers. It’s all about mindset. I’m sure Earl has a few stories to share about elder travelers. Hey Joel – There are plenty of older travelers out there doing some amazing things and not feeling out of place at all. Like you pointed out, I think that most travelers in general are interested in meeting people and that means people of all backgrounds and ages. Travelers are travelers, regardless of age! Hey Tom – I just replied to your email as well but like I said, there is no such thing as ‘too old’ for adventure, and that’s from meeting plenty of people of all ages who are out there wandering the world! Yes. Yes. and Yes! I’ve already done and I recommend it highly especially when you’re young or in need of a life or career change. I’ll probably do something similar in the later years to come. YES to all the Questions. I would like to add anything about trust. That during your travels, you will have to put your trust to people you travel with or maybe put in a situation where you’re left with no choice but to trust people and most of the time find it rewarding to do so. @liberisimo – That’s a good point and I like how you added that most of the time it will end up positive. I would even say that the overwhelming majority of the time putting trust into strangers leads to a positive experience. Great Post! You are just one of the many people who have inspired my fiance and I to travel the world. We created an aggressive “5-year plan” to try to save and create income streams passively/ remotely so that we can backpack for a year or two around the world. Reading your articles gets me antsy and I just want to go now! Keep up the great writing! Right or wrong (my suspicion is, that it will be the right decision), we set off for 12 months at least in June. Hey Chris – I guess you’ll just have to find out! Tomorrow it`s time to start anew. Open-End! Greets and thanks for this post. Have a wonderful adventure Pat! 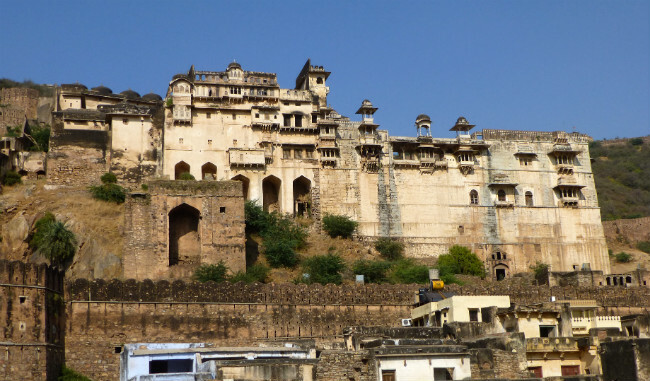 Ahh, Bundi! You have summed up long-term travel brilliantly… I’m back in McLeod now, and it’s incredible how different my experiences are every time I’m here – even when I’m somewhere as familiar as this when travelling, I find my horizons are always being stretched beyond my wildest dreams… you learn quickly never to take anything for granted, which so many people do in the West. Hey Melody – Good to hear from you and it’s a shame I won’t be heading up to McLeod this time around! I wish I had some extra time for that, to do exactly what you talked about…have a different experience in a familiar place. I’ve been preparing myself ever since I’ve decided to start travelling long term September this year. The answer to most of the questions are YES! I’ve just done a solo trip for a week, and all I can say is that I loved it and looking forward for more! Next trip is in May for one week, and then the big one comes in September. I’m not sure how long I can travel, but right now I would love to do it as long as I can, and I also would think that I can do this forever! Same here. I am just in awe of people who are really inspired to travel and are now ready to take that first step. Yes to everything just need to sell the house and car, find someone to watch the dog, figure out how to support myself etc. If I could figure it out I would definitely go nomadic! On a mission to hit the road soon. Hopefully, we will meet up for a beer in one of these corners of the world, so I can thank you personally for being an inspiration for my future travels. Take care! Hey Danny – I shall look forward to that! I believe that when u visit a place v shud hav a chance to see whole of it…n that’s why I believe in fast travelling so that v get to know abt the place in a better way.. Yes to everything! For the past two months the itch began and I wont stop until I live it out. But Earl I have a question, how to explain to your love ones this “crazy” idea to them..specially when they are so traditional. I feel I’d break their hearts and they wouldn’t understand. Did you ever feel a certain responsibility with your loved ones for example helping them financially? Hey Sebastian – I think the best way to present it to your family is to have a plan. You don’t want to simply say, “I’m leaving now to travel the world and I don’t know when I’ll be back.” Have a plan, give them details about where you want to go and why, what you hope to gain from your travels, how it will help you later in life and so on. If they see that you have put a lot of thought into this decision and that you know what you are doing, they will feel more comfortable with it. However, some people still won’t come around and you may have to go out there and travel for a while despite this. Often times, once such people see that you are achieving your goals and have figured out a way to turn travel into a lifestyle, then they change their mind and offer their support because they are no longer nervous about where you are headed in life. As for helping people financially, if the need ever arose, then I would do what it took to help them, which is why I’ve always saved money while working and traveling to make sure that I have some extra money in case it is needed. Ahaha i obviously said Yes to everything… Im laughing as this is so good to me that i naively expected everyone to find it awesome. A few weeks ago one of my best friends joined me for 3 weeks. Week 3 she finally understood. You really need to LOVE this lifestyle to endure everything. I should start posting pictures of my misadventures too, instead of just beaches in paradise. Sometimes its hard. Very hard. But its during hard times that u get the best lessons in life. Thats what really love about traveling. Thanks for another great post, Earl. I only got through the first few questions when I decided to print all of these out and go through them writing down my honest answers. I am currently in the process of making Fall travel plans to Bolivia, Peru, and Belize (or so I hope) and taking the first step in a life I’ve been longing to live for a long time. It has been such a privilege to follow along on your journeys, thank you for- perhaps unknowingly at first- guiding so many of us who were/are not living the lives we dream of, and allowing us to realize that it is COMPLETELY possible. I reading your blog for a qiute long time and you making me belive in self power, power to do thing that may seem not reachable… this post showing how we can learn leaving schematic life… but see, sometimes even if we not traveling like you, we can use ours passion in normal life and act unconventional – different in nice way. Hey Edyta – Of course! This blog tends to focus on travel since that’s what I’m doing but much of it applies to non-traveling life as well. If you can take me with you and pay for my plane ticket, then yes! It’s definitely not right for me, but I so admire people that can do it! Are you able to say goodbye to family, friends and all that is familiar knowing it will be some time before you meet again? Hey William – Yes, because long-term travel doesn’t necessarily mean that you won’t see those people for long periods of time. I actually see my family more often than most of my friends living back in the US see theirs! But in some cases, many months may pass between visits and each person simply needs to weigh the pros and cons of that happening…for some, the rewards of travel outweigh the lack of time spent with family and friends. The frustrations always end out to be worth it. You’re right I have never met someone who told me that they regretted having traveled. Thanks for another great post, Earl. SO in Real life d answer to Ur Last Q. will b= Sadly Not Possible == . I’ll b in India next wk inshaAllah, hope 2 c U there ! I think maybe it is for me….I have been traveling straight for the past three months but haven’t lived anywhere for longer than three months for two years or so. So far I love it and want more but I do think there will be a point when I want to settle down and have a garden and chickens. Those are really the only two things I want that are incompatible with my current lifestyle…lol. Hey Syd – And when the day comes that you wake up and decide to change course, that’s what you should do! I found the timing on this post to come at a point where I am considering this. I retired early, 18 months ago and have been traveling off and on. I am in the middle of a 7 month RTW trip and considering taking a mid-trip break to go home, see Mom, cuddle the dog, replan my packing and see about picking up some freelance work. There are days I have a smile on my face all day and see great new sites. Then there are days when I sleep in late and wonder what there is to do before my next stop. Days sometimes get lonely and I miss the accomplishments that can come with working. I might need to follow the style of another poster (Steve C) and spend time traveling around my home country part time. There are a lot of “wants” on my list of countries to see. I am getting tired though of some of the rougher hotels though. Up days and down days. As of today it is about 70/30 up to down. In Porto Portugal today and headed to Lisbon tomorrow. Thanks for the timely article. Hey Starr – I think at this point, it definitely pays to reassess the situation, to examine which aspects of travel you truly enjoy and which you don’t, and then create a new plan based on your findings. I am constantly reassessing my goals, my state of mind and my situation to make sure that I’m not heading somewhere I don’t want to be heading in life. Yes, Yes, Yes etc etc…. I’ve waited my whole life to do this and now in my 40’s I am finally living my dream…it’s never too late! For me it’s not a question of do I want to continue a life of travel but more one of how can I continue? I sold everything 7 months ago and hit the road and I am working on creating some online income. I have about two years worth of savings (living very frugally) and if I haven’t generated an income by them I will have to stay put somewhere and get job. Regardless I doubt that I will ever wan to settle down permanently somewhere again. Having said that I do find that slow travel is much more to my liking than hopping around too quickly. Alternating between getting an apartment for 2-3 months somewhere then traveling for a month before picking a spot as home base again for another couple of months seems to be working best for me. Not only do you feel less burnout and have a chance to really get to know a place but it’s also much easier on the budget. I love slow traveling too… Otherwise after a while of trotting around non stop i get insane. Plus if u want an online income you need to settle somewhere for a while and work.. Good luck with your travels! I left everything behind at 35 so i know what this means! Hey Cle – I absolutely agre about he need to settle for a while and work if a person is serious about earning money online. Glad it’s worked out for you! Hey Sarah – That’s all very true and I think the most important part of what you wrote is that you took the time to look at different travel styles and determine which one suits you the most. That’s what all travelers should do since there is no right way to travel…there are infinite ways and most of us can find one way that is perfect match for our goals/needs. Agree with Carola that you’ll never truly know until you do it, because travel has a way of bringing out good and bad traits that you never knew about yourself. It also has the tendency to change you for the better, so I think even if you decide to travel long term and head back home after a few months, you’ll be better for having tried it. Traveling long term is exciting but it’s not all sunshine and butterflies like some blog posts/Instagram/Facebook accounts seem to suggest, so it’s best to read articles like this to mentally prepare yourself a bit before you leave. Great post! Hey Christina – In the end, going out there and traveling is definitely the best way to find out. These questions were designed more for people to determine whether or not travel is something they truly want in life…and if the answer to most of these questions are yes, then the next step is to get out there, test out several different travel styles and see if does work out in the end. Hope you’ve been doing well!! Great post, Earl! Helps me see my way a little clearer! Great post, Earl! Helps me see my way clearer! Yes….after ..years being stuck at a grad school..finally..am determined enough to travel ..because.,am only good in it.,.lets see where it takes me,,,. Hey Sherie – You’ll get there…we all have to overcome something to get started with such an endeavor, but the good news is that determination will ensure you succeed in the end! Couldn’t agree with you more!! And determination is something I have plenty of =D Thanks Earl! I am one year into my journey now, and I will admit that there are moments when I’m lonely and frustrated. Sometimes, I miss comfort and security and the intimacy of close friends and family. But I’m even more curious and excited and inspired, so I will keep going forward for as long as that’s the case! Oddly enough, reading this only made me feel more excited about what lies ahead. Hey Lauren – As long as you stop every now and then to check on yourself and determine if you are still on the right path, I think you’ll find that your travels will continue to bring your rewards. And if it ever changes, there’s nothing stopping you from changing course at any time. Yes! No doubt about it! This was a very timely post, even though it just preaches to the choir. My first meeting with my realtor is behind me (last week). Lots of things to do between now and this summer to get my house ready to sell. Come August, I’m on the road again. Sounds easy huh? Actually, this is one of the hardest things I’ve ever done. I’ll be bumping along in my pickup with a camper on the back to see what’s in my own country (USA) for half my time. Then, with my camper in storage, I’ll be traipsing around the world with my backpack for the other half of my time. As I’m now 65, and not working anymore, “My Time” is the rest of my life. I can’t seem to determine which form of travel I like best, so I’m doing both, alternately. Ready, set, go………. See ya there, wherever there is. Hey Steve – Doing both seems ideal and I think once you get started with your adventure, you’ll start to figure out what works and what doesn’t for you and soon enough, you’ll know exactly how you want to travel, at least for the first stage of your trip. It might change but knowing you, you’ll make sure you are constantly evaluating your goals and what you want to gain from your travels! Not to be a downer: IMO you’ll only know whether long-term travel is for you when you’ve actually done it. And even if you’ve done it you might wake up one day and say to yourself: “Na, that’s it. Ready to settle down.” Or you head out for a few months and somehow never return. Still, thanks for the list, Earl. It might help some to get a more realistic picture of the road ahead. Not all fun and games. But sure a lot of sweetness. Hey Carola – I do agree with that. This post is more for a person to decide if the idea of travel is something they want to pursue in life. Many people state that one of their biggest dreams is to travel long-term so this is a guide to help determine if that’s truly the case. Then, if a person answers yes to most of these questions, yes, the next step is to get out there and actually experience the lifestyle…but we all need a first step, which generally comes down to understanding the decisions we are making in order to make an educated guess about whether or not we would enjoy something. Yes to all the above.As a matter of fact I am doing it now,and blogs like yours helped me make the decision! Actually,I am ruined now and cannot imagine going back to my old life.There is nothing better than waking and knowing that you will defiantly see and experience new things that very day! And hope to run into you one of these days! Hey Quade – Don’t worry, there are plenty of ‘ruined’ people out there!